Keeps color still beautiful and clear. The intense and brilliant color. The so-called. Elumen magnetic effect creates a new dimension of strength and durability. Pigments are absorbed deep inside the hair, thus ensuring long-term brilliant color. Elumen effect also ensures regeneration and shine. 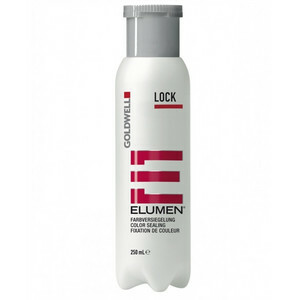 Apply about 40 ml, along with Goldwell Elumen Hair Color to towel-dried hair. Leave on for about 5 minutes and then rinse thoroughly.